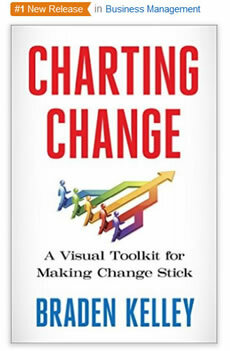 Purchase this Change Planning Toolkit™ Basic License – Instant Access Edition and we will order you a copy of the digital version of Charting Change or send you a hardcover now if you are in the USA or one of BookDepository.com’s 90 countries — PLEASE SPECIFY CHOICE — AND grant you INSTANT ACCESS to your Change Planning Toolkit™ Basic License individual educational purposes only! 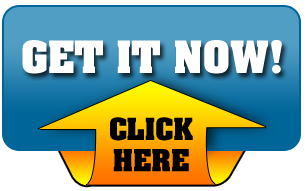 People seeking to use any of this intellectual property for professional or commercial purposes will want to contact me about purchasing an affordable site license. NOTE: If you live in the United States and would prefer to receive a hardcover version of the book instead of the digital version, please send me a note in the order notes field during checkout and if Amazon lets me I will pre-order you one and send you a confirmation. 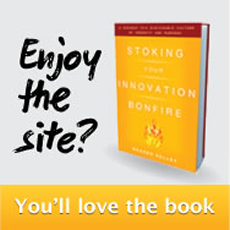 The book highlights best practices of organizational change and introduces next practices for making change efforts (including projects) a more visual, collaborative, and human exercise, enabling you to get everyone literally on the same page for change. The Basic License includes access to 26 of the 50+ frameworks, worksheets, and other tools (including the Change Planning Canvas™) in a 11″x17″ downloadable PDF format. To get access to poster size versions (35″x56″) of these tools, please contact me about upgrading to an affordable site license. To get instant access to ALL 50 frameworks, worksheets, and other tools, please purchase the Change Planning Toolkit™ – Individual Bronze License instead. 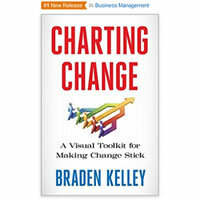 People who purchase the book after it launches will also be able to get access to the Basic License of the Change Planning Toolkit™ (contact me with proof of purchase). NOTE: These materials are provided for individual educational use. 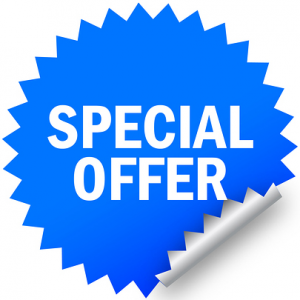 A very affordable site license or commercial license is required to use the materials for commercial or professional use.